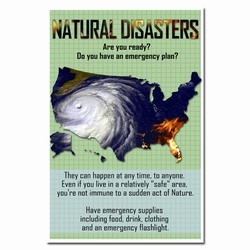 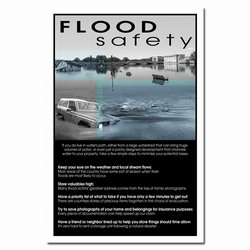 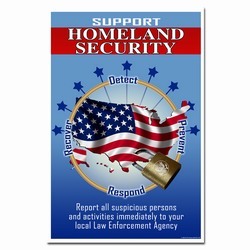 Theme: A homeland security poster aimed at airports and other places where people travel. 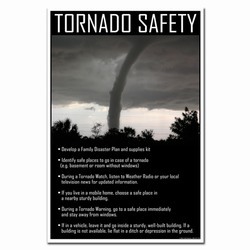 This poster reminds us to keep an eye on our luggage and other valuables. Not only is the possibility of terrorist activity with your luggage a real problem but keeping an eye on your luggage and never leaving it unattended will also prevent theft. 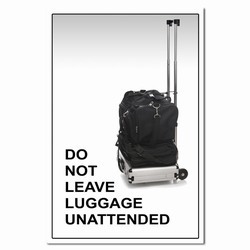 Message: "Do no leave luggage unattended."